Every now and then comes the harsh reminder that the sport we all know and love so well, can at times be quite cruel. The World Supersport race at the Moscow Raceway brought the cruel reality that motorsport is indeed dangerous to the forefront once again. The Team Go Eleven Kawasaki rider fell on the back straight of the Moscow Raceway during the World Supersport race due to torrential rain. Antonelli's head struck the ground. Due to poor visibility, fellow rider Lorenzo Zanetti ended up running over Antonelli. The Italian rider succumbed to his injuries at the medical centre. The remaining races of the weekend were cancelled. 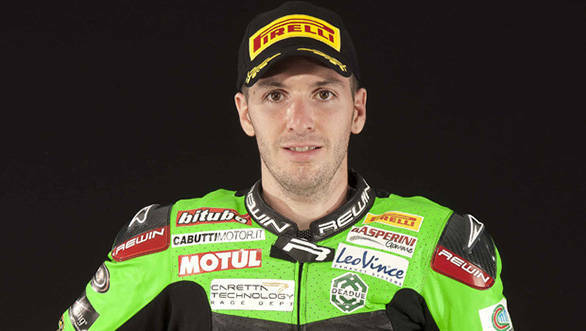 "We discussed the race at the breakfast and I initially thought that it was just another crash but am still not come to terms with the shocking news" said Kenan Sofuoglu who rides for Mahi Racing Team India. Indeed, Antonelli was a popular face in the close-knit paddock and will be missed.